Being the ancient military defence project, Great Wall is symbol and proud of China. It is convenient to visit Great Wall from Beijing. There are many sections of Great Wall around Beijing city. Badaling Great Wall is the site of the most visited section of the Great Wall partly because it is close to Beijing city and connected with urban area by expressway. This section of wall is the first section opened to tourists (in 1957) after reconstructed. Badaling Great Wall shows the Great Wall as it would have looked originally, and it does not look too new. That is another reason of why most travelers choose Badaling Great Wall. 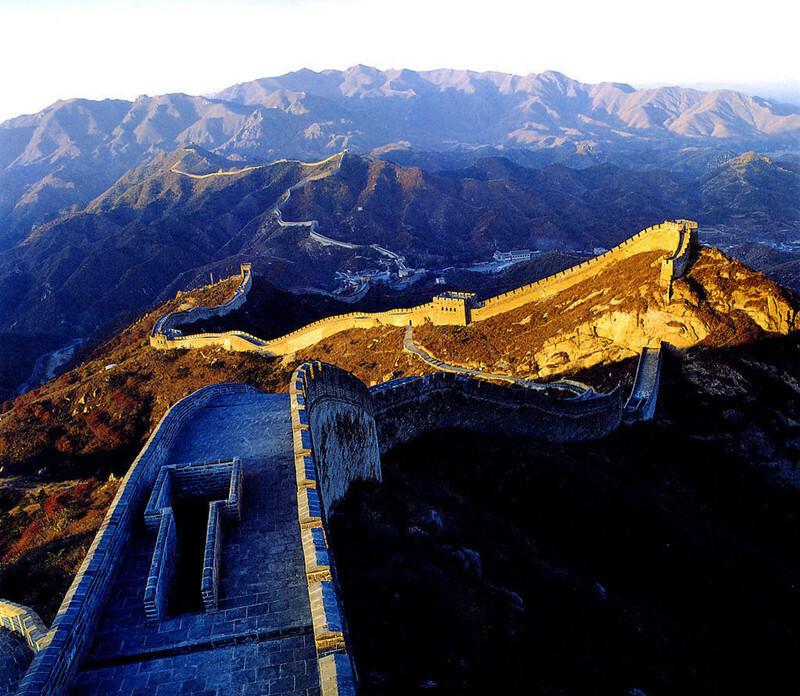 There is a Great Wall Museum and Great Wall National Theater close to Badaling Great Wall. The theater offers you a chance to get a full view of the Great Wall of China. Badaling Great Wall is located in Yanqing County, 70 km north of Beijing city. 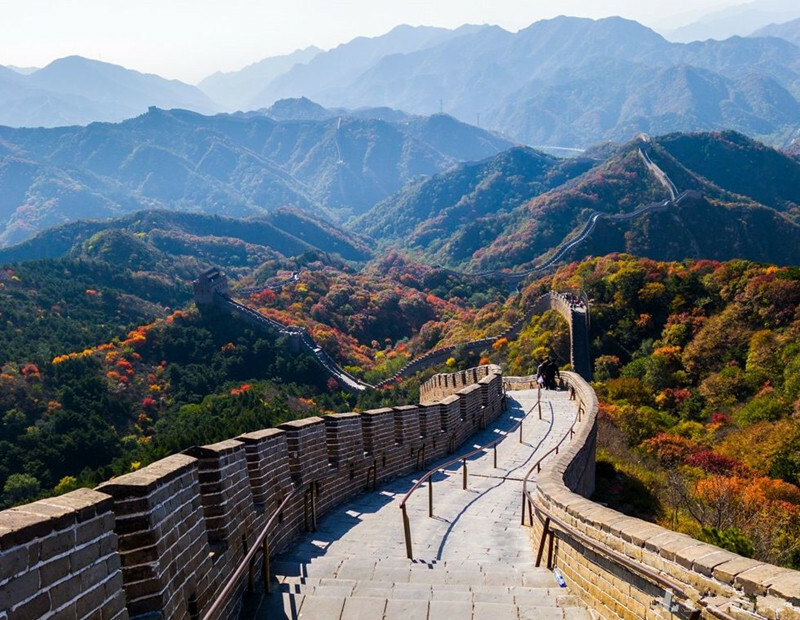 In ancient time, Badaling Great Wall is a very important pass to protect Beijing City on the north side, with the name of “the Key to the North Gate of Beijing city. And it is a must visit place when planning a Beijing travel itinerary. Badaling Great Wall winds its way among the undulating high peaks north of Beijing City. The Wall consists of two pass cities: Ju Yong Wai Zheng (Juyong Outer Town) in the east and Bei Men Suo Yao (the Lock and Key of the Northern Gate) in the west. The pass was built in 1505. Juyongguan Great Wall is located around 20 km south of Badaling Great Wall. Badaling Great Wall is in the same valley (Guan Valley) with Juyongguan Great Wall. Badaling Great Wall is on the upper end of the valley; while Juyongguan is on the other lower end. In the past, Badaling was the gateway to Juyongguan Great Wall. Badaling commands the highest point of the valley. 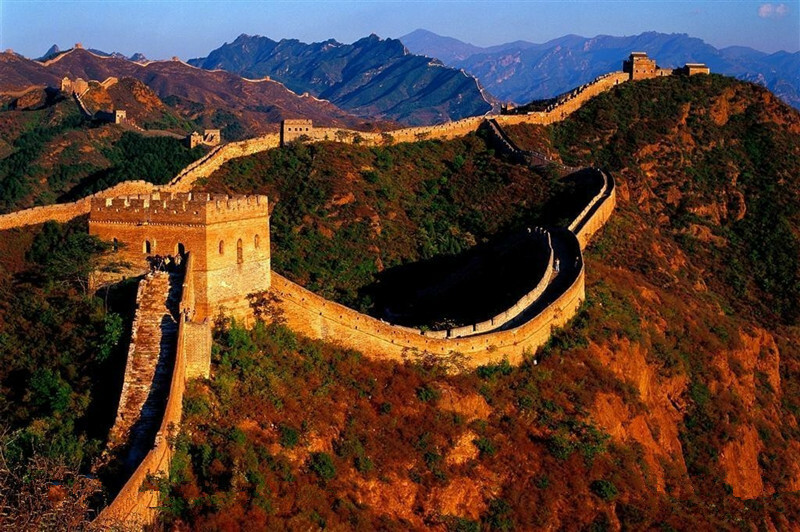 This Great Wall was attached with great military importance. An old Chinese saying tells the crucial position of Badaling: if one man guards the pass, ten thousand cannot get through. The highest point of Badaling Great Wall is Beibalou Chinese: 北八楼), approximately 1,015 m above sea level. 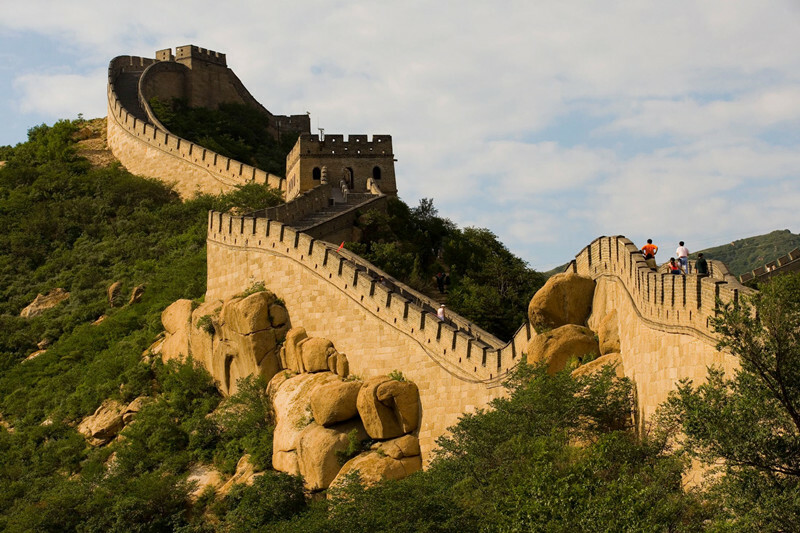 This part of Wall got the name Badaling (Eight Prominent Peaks) because the traffic of Badaling Great Wall is very easy and convenient. In Chinese, ‘Bada’ means ‘giving access to all direction’. The name suggests its strategic importance and convenient traffic. Now, new completed Badaling Expressway connects Badaling with central Beijing. 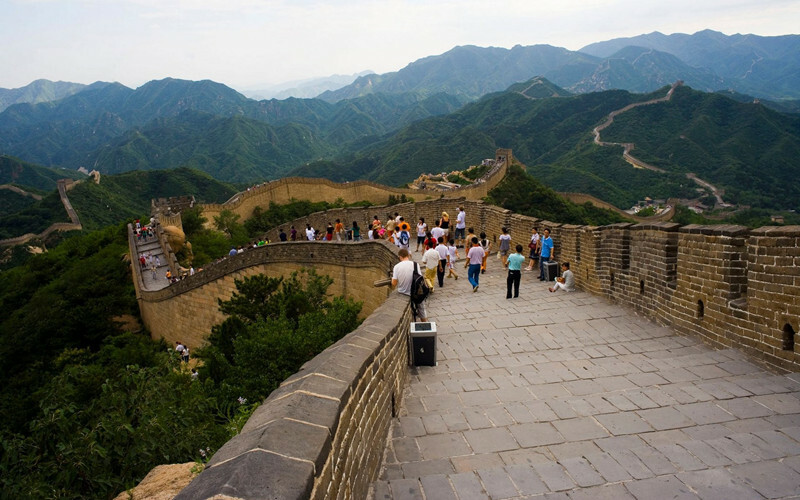 It makes Badaling Great Wall tour very convenient. 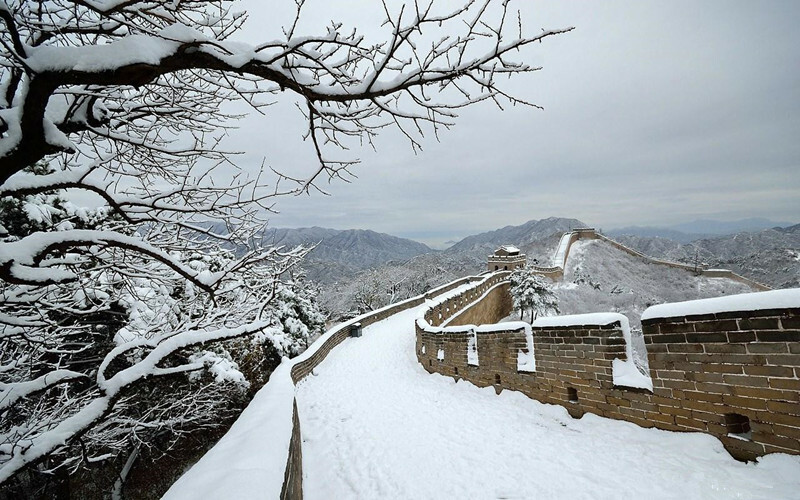 It needs only one hour from Beijing city to reach Badaling Great Wall. And there is cable car to help travelers to climb the Great Wall. 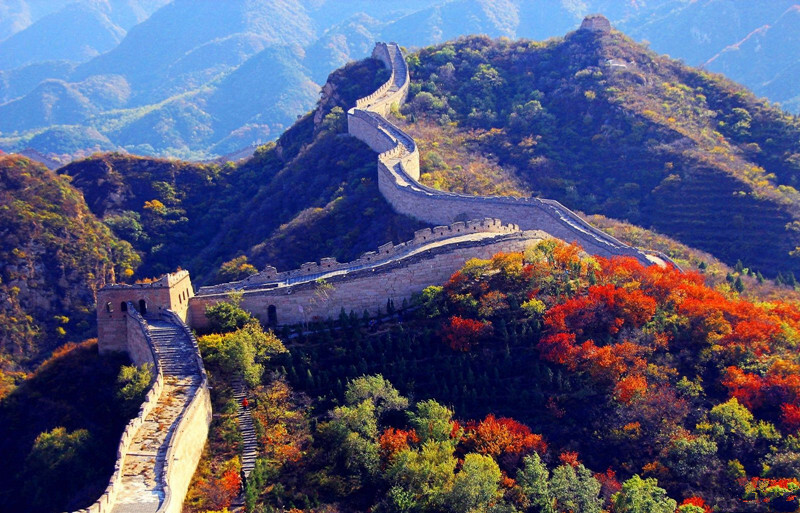 The start of building Great Wall is from Spring and Autumn Period (770 BC – 476 BC). During the early period of Ming Dynasty (1368–1644), the government moved its capital from Nanjing to Beijing. Afterwards the emperor Zhudi attached great importance to the rebuilding of the Great wall as a key defense project against the northern invaders. One of the famous generals QiJiGuang was named as supervisor general for the construction of Badaling Great Wall project. General QiJiGuang was known for the leadership in the battle against Japanese pirates in East China Sea. Ming government spent eight years in building the Great Wall. Great Wall is Chinese ancient defence project. It is a wall to ward city and country. Badaling Great Wall is built to protect Beijing City on the north side. Fire or smoke will be used as Signal when find invader. Signal can be sent to other parts via Great Wall. This military information will be transferred to the general and emperor at rapid speed. Fires were lit on the beacon towers in the evening and the smoke during daytime. The number of the fires or smoke columns represent the numbers of enemies. Since 1466, cannon were added to the fire and smoke. For example, one fire of the cannon and a smoke column represented 100 enemy soldiers; two fires of cannon plus two smoke columns signified 500 enemy soldiers, and three fires of cannon plus three smoke columns meant that over 1,000 enemy soldiers. This ancient communication warning system had already been applied in China since over 2700 years ago. When seeing the smoke or fire, other soldiers will start another smoke or fire. This signal will be finally reached the capital and the whole country will get ready for the war. 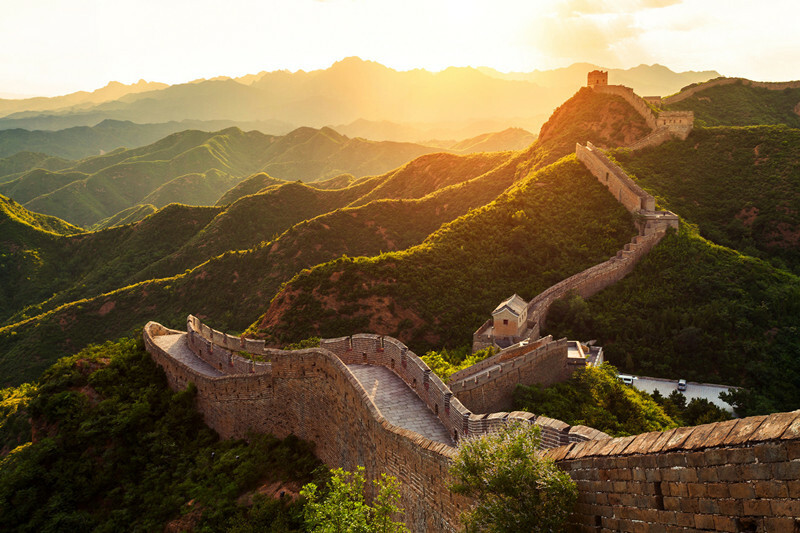 The Great Wall was initially built in the Spring and Autumn Period; the construction, connection and restoration of the wall had never ceased in the following 2000 years. 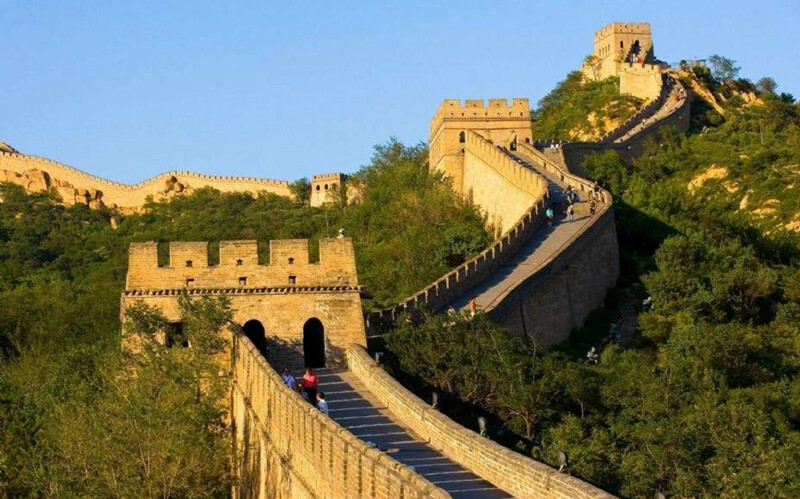 Badaling Great Wall is the highlight and the most excellent section of Great Walls built in Ming Dynasty. It is also the best preserved part of Great Wall. 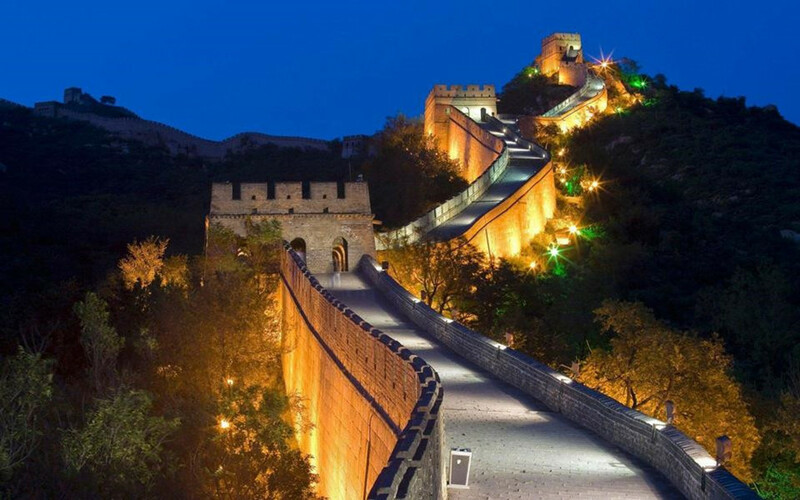 The Wall of Badaling section is composed of Guan city and its affiliated walls. The walls were constructed by bar stones and bricks along the top of mountains. At the strategic points,there are city platforms, wall platforms and watching towers. The wall averages 7.8 metres high, 6.5 metres wide of the base, and 5.8 metres on the top. The highest section is 15 meters high. The wall was designed to allow five horse or ten soldiers to march on the wall. The outer side of the wall is topped with crenellated battlements, which are about 2 meters high. There are square hole on the outside wall for shooting arrows through and for keeping watch over the enemy. The flights of stairs up to the outer wall are fairely widely spaced. The inner side wall is only 1 meter high, which are also called daughter wall. 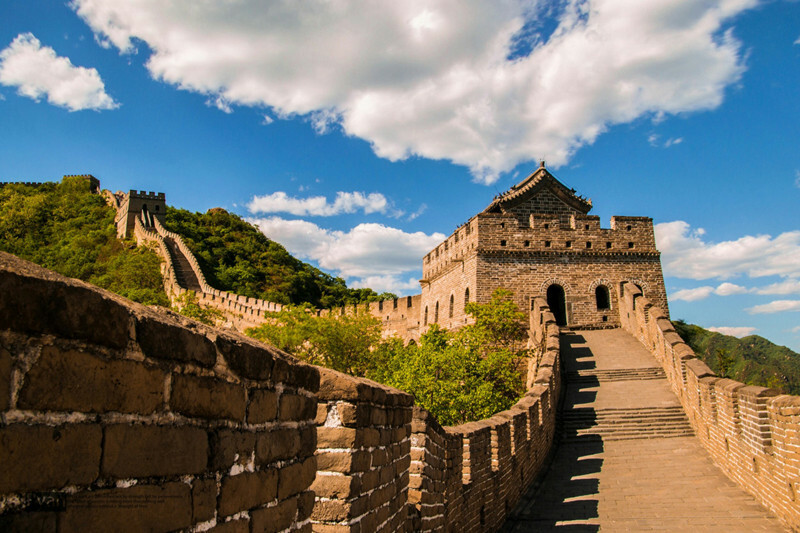 The bottom of Badaling Great Wall is laid up with big stone blocks while the upper part were built with large pieces of rectangular shaped bricks. Steps were built on the steep slope and paved with huge stone blocks. Some of the huge stone blocks are two meters in length and hundreds of kilograms in weight. The first China emperor (Qingshihuang) passed the place when he went to Jieshi in the east and returned to his capital Xianyang in the west. The first emperor of the Yuan Dynasty brought his savage horsemen tried to take this place one the way to central china from the north. Ming emperors gathered troops there before went out of the Great Wall to attack the enemy in the north. The peasant rebellion leader Li Zhichen broke into Beijing and overthrown the Ming empire via this place. The first railway (Jingzhang Railway, Beijing to Zhangjiakou) designed and built by the Chinese engineer Zhantianyou Railway came by Badaling. Chairman Mao Zedong climbed Bdaling Great Wall and leave the words: Who are we if we can not reach the Great Wall? Chinese democratic pioneer Dr. Sun Yat-sen climbed the Badalig Great Wall during his stay in Beijing. American President Richard Nixon visited Badaling Great Wall on February 24, 1972. Other 370 international dignitaries and celebrities visited Badaling Great Wall. 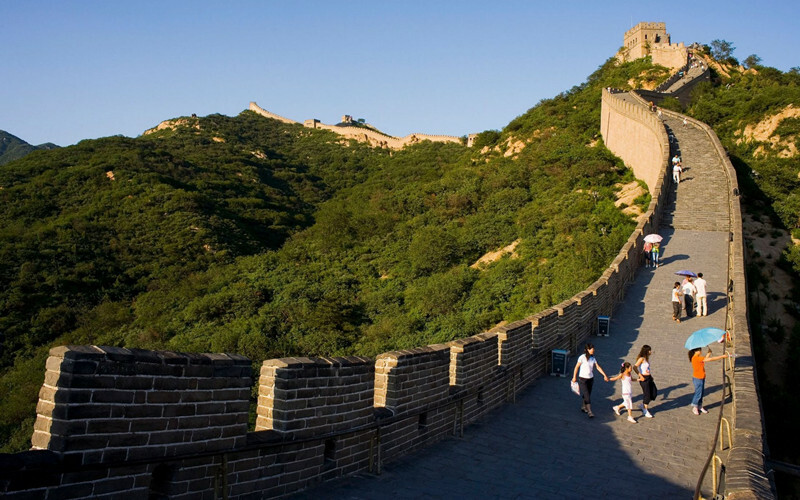 Visiting Great Wall in Beijing is must be included in itinerary of Beijing trip. Badaling Great Wall is one of the most famous part of Great Wall. 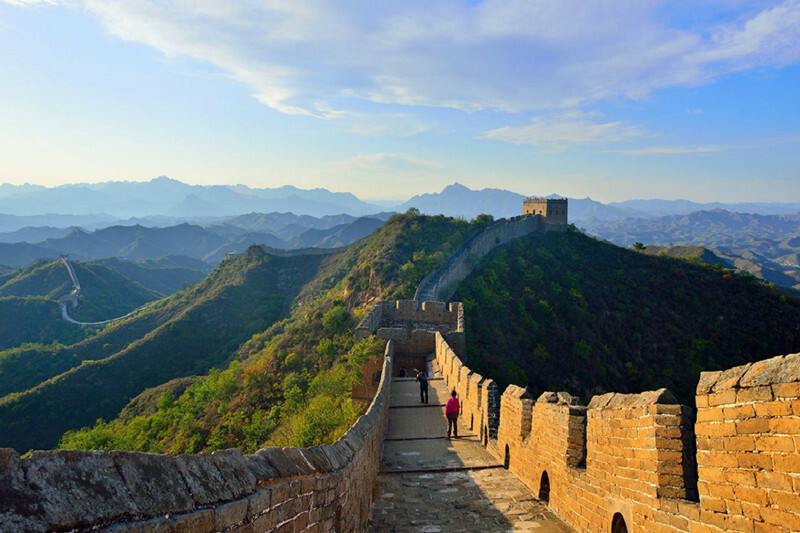 Most travelers spend 2 hours on Great Wall. Please visit Great Wall Tour to see more tours to visit Great Wall of China. Spring of Badaling Great Wall is later than Beijing City. One or two weeks after Spring of Beijing city, the mountain of Badaling Great Wall become green. It is a very good season to visit Badaling Great Wall. Gentle Spring wind and warm sunshine makes the visiting very comfortable. Summer time of Badaling Great Wall is hot with rain. The rain of Beijing usually comes in the late afternoon or in the evening. Thus leave cool and fresh air for visitors. The wall is attractive and mysterious in rain. The photo is amazing if you are lucky to see Badaling Great Wall in rain. This is the best time to visit the Great Wall . 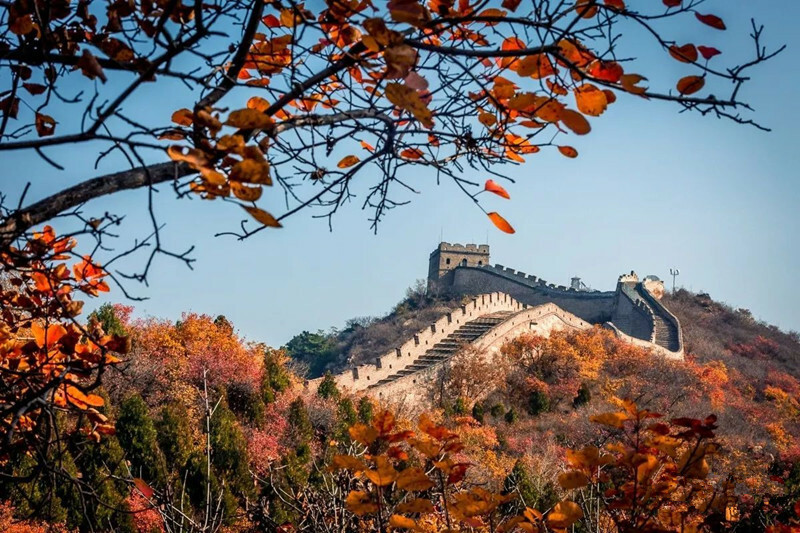 Yellow mountains, red leaves, white clouds and blue sky will make your Great Wall tour memorable. Memorial Hall of Zhantianyou, Great Wall Museum, Beijing Badaling Wildlife World.